“For of Him, and through Him, and to Him, are all things” (Romans 11:36). “I do not endeavor, O Lord, to penetrate Your sublimity, for in no wise do I compare my understanding with that; but I long to understand in some degree Your truth, which my heart believes and loves. For I do not seek to understand that I may believe, but I believe in order to understand. For this also I believe, that unless I believed, I should not understand” (Saint Anselm of Canterbury, Proslogium Chapter I). Later, Adolf von Harnack identified the seed of Christianity in the “Jewish Alexandrian philosophy of religion,” best exemplified by Philo the Hebrew. Convinced that this flavor of monotheism owed more to Plato than Moses, he argued: “The fundamental idea from which Philo starts is a Platonic one; the dualism of God and the world, spirit and matter. The idea of God itself is therefore abstractly and negatively conceived … and has nothing more in common with the Old Testament conception” (History of Dogma, Volume I, Chapter 2). Throughout the nineteenth and twentieth centuries, humanists and liberal Protestants spread these scurrilous and destructive allegations, destroying many an ignorant man’s faith. Before long, the notion that Christian doctrine is merely Greek wisdom in Semitic garb became commonplace. Only recently, with the revitalization of conservative scholarship, has there been significant push-back. Sophisticated scholars of unquestionable Nicene orthodoxy, such as Oskar Skarsaune and N.T. Wright, have amply demonstrated that crucial elements of the faith (i.e. Logos Christology) have deep roots in ancient Israel. The assertion that the Church cobbled together a religion willy-nilly—taking a bit from Jerusalem and a bit from Athens, a tad from Moses and tad from Ammonius Saccas—is now so discredited as to convince only diehard heathens (also, of course, Jehovah’s Witnesses). Nonetheless, the slander is again being circulated, albeit in a new form, thanks to the efforts of the so-called “open theists.” These men challenge God’s sovereignty and immutability as Platonic speculation rather than Biblical truth. Like countless past heretics, open theists combine isolated snippets of Scripture with wooden logic, presenting their reasoning in a vacuum without reference to the creeds and confessions of the Church. They are especially concerned with “modifying” or “qualifying” (read: limiting) the omnipotence and omniscience of God, fearing that such Divine attributes deny the freedom of man and the charity of God. Clark Pinnock, another popular evangelical thinker of heterodox persuasion, has questioned whether God is really timeless and almighty; he speaks of God being frustrated, shocked, disappointed, bested, and otherwise influenced or outdone by His own creatures. “God has the power to be . . . an “ad hoc” God, One who responds and adapts to surprises and to the unexpected” (The Openness of God, 113). Just as Jehovah’s Witnesses point to words like “firstborn” in order to refute the Word’s eternality, so opponents of classical theism highlight those Biblical verses which speak of God experiencing change, be it emotional or volitional. Of course, these contentions have been satisfactorily answered by Christian apologists of every generation. Saint Thomas, in the Summa Theologica, ponders the following objection: “But these are said of God in Scripture, ‘Draw nigh to God and He will draw nigh to you’ (James 4:8). Therefore God is mutable.” He responds smartly, building upon the works of Saint Augustine and Saint Dionysius the Areopagite: “These things are said of God in Scripture metaphorically. For as the sun is said to enter a house, or to go out, according as its rays reach the house, so God is said to approach us, or to recede from us, when we receive the influx of His goodness, or decline from Him” (Part One, Question IX, Article 1). The question of Biblical anthropomorphism was long ago settled. The fact that it must be revisited in the twenty-first century is proof positive that Christians are in dire need of basic catechesis. Saint Chrysostom explained succinctly, “Watch well the condescension of Divine Scripture: of which words it has made us in order to adapt to our littleness … If indeed it would not have used similar expressions, how would we have been able to understand such sacred mysteries” (On Genesis, II, 21). Furthermore, Saint Augustine mused: “But it is only by the use of … human expressions that Scripture can make its many kinds of readers whom it wants to help to feel, as it were, at home. Only thus can Scripture frighten the proud and arouse the slothful, provoke inquiries and provide food for the convinced. This is possible only when Scripture gets right down to the level of the lowliest readers” (City of God, Book XV, Chapter 25). Theodoret of Cyprus quipped of those who, duped by anthropomorphic verses, imagined God as a corporeal being, “These simpletons fail to understand that the Lord God, when speaking to humans through humans, adjusts His language to the limitations of the listeners,” (Questions on the Octateuch, Question 20 on Genesis). We can thus conclude that Holy Writ is not the exclusive property of philosophers. On the contrary, it suits imbeciles and geniuses, as well as folk of middling intellect. In His awesome Wisdom, God rendered the Bible, and thus the faith itself, at once simple enough to captivate schoolchildren and complex enough to confound sages. Saint Augustine reconciled such similarities by suggesting that Plato, during his wanderings abroad, encountered the Divine knowledge of the Israelites, and so caught a mental glimpse of the God-of-gods (cf. City of God, Book VIII, Chapter 11). Although this idea is dismissed by most contemporary scholars (and questioned by Saint Augustine himself), I find it plausible. After all, the law and prophets—with their praise of the Existent One, the Source of all creation, beside whom there is nothing and nobody—drastically predate Plato. The first major Greek philosopher, Thales of Miletus, was roughly contemporaneous with those scribes who first committed to paper the traditions of God’s people. Thales was, however, far younger than the actual traditions, which the scribes had learned from their fathers, who had in turn learned from their fathers, and so on and so forth for many generations. The Israelites were well aware of the total aseity and radical transcendence of the One True God in the days of Moses, who walked the earth some three and a half millennia ago, well before Homer sang of the villainous demons which terrorized ancient men, blinding them to the Truth. We can assume, then, that if any imitation did in fact occur, it was the Greeks who imitated the Israelites, not vice versa, despite the racist protestations of Celsus and his ilk. This is the sure conclusion of Eusebius of Caesarea, who wrote, “Now see in what matter Plato, having imitated not only the thought, but also the very expressions and words of the Hebrew Scripture, appropriates also the doctrine” (Preparation for the Gospel, Book XI, Chapter 9). Of course, what Israel learned by revelation the Greeks may have dimly discerned by natural reason, “for from the greatness and beauty of created things, the Creator is seen by analogy” (Wisdom of Solomon 13:5). Regardless, it is necessary to meet the challenges of the open theists and other heterodox who falsely accuse the Church of misrepresenting the Divine nature. Christian orthodoxy is thoroughly Scriptural. It is rooted in the Self-manifestation of the God of Abraham, Isaac, and Jacob. Many beautiful truths about the Divine, expressed in condescending fashion befitting our “littleness,” were known to the Israelites when Greek philosophy was still in diapers. Today, these truths are embraced and proclaimed by the Church, which bears witness to He Who Is. It was Israel, old and new, that illuminated Greece, which was trapped in the dense darkness of idolatry and magic, superstition and polytheism. Naturally, this narrative was altered after the Enlightenment, a period which produced collective amnesia, causing the entire west to forget the wickedness of old heathendom. Since then, westerners have operated under the delusion that pagan civilization was generous and hospitable, rather than a fetid swamp of cruel debauchery. What does Scripture teach about the Wise Deity, the Sacred Mystery, the Holy Artisan, the Supreme Mind? Saint John of Damascus declares breathlessly, “We, therefore, both know and confess that God is without beginning, without end, eternal and everlasting, uncreated, unchangeable, invariable, simple, uncompound, incorporeal, invisible, impalpable, uncircumscribed, infinite, incognisable, indefinable, incomprehensible, good, just, maker of all things created, almighty, all-ruling, all-surveying, of all overseer, sovereign, judge; and that God is One, that is to say, one essence; and that He is known, and had His being in three substances, in Father, I say, and Son and Holy Spirit; and that he Father and the Son and the Holy Spirit are one in all respects, except in that of not being begotten, that of being begotten, and that of procession” (Exact Exposition of the Orthodox Faith, Book I, Chapter 2). That is a rather formidable list of attributes. We would do well to choose the most essential items, those which best reveal God and most clearly define classical theism as espoused by catholic Christianity. Let us briefly consider the splendid reality of the thrice-holy Deity. The aseity or self-existence of God is a stupendous mystery. The enigma is hidden in the ponderous name revealed to Moses: “I AM THAT I AM,” or as the Septuagint renders it, “I AM THE EXISTENT ONE” (Exodus 3:14). Etienne Gilson considered the Sacred Name “an epoch-making statement in the history of philosophy” (God and Philosophy, 40). God is because He is. “Before the mountains were brought forth, or ever You had formed the earth and the world, even from everlasting to everlasting, You are God” (Psalm 90:2). God is the Necessary Being, holding His own cause within Himself. Saint John of Damascus explains, “For He keeps all being in His own embrace, like a sea of essence infinite and unseen” (Exact Exposition on the Orthodox Faith, Book I, Chapter 9) To be is His being. “For as the Father has life in Himself, so has He given to the Son to have life in Himself” (John 5:26). God is the source and summit of existence, Being itself. “God that made the world and all things therein, seeing that He is Lord of heaven and earth, dwells not in temples made with hands; neither is worshipped with men’s hands, as though He needed anything, seeing He gives to all life, and breath, and all things” (Acts 17:24-25). He is the “fountain of life” (Psalm 36:9). As the Word declares, “I am the Way, the Truth, and the Life” (John 14:6). We exist only insomuch as we participate in His abundant goodness: “For in Him we live, and move, and have our being” (Acts 17:28). All things come to God and return unto Him. “All the rivers run into the sea, yet the sea is not full; unto the place from whence the rivers come, thither they return again” (Ecclesiastes 1:5). He alone is truly real. When the Spirit through the pen of the prophet proclaims, “I am the Lord; and there is none else” (Isaiah 45:18), He is making an ontological statement, the depths of which one might forever plumb. We are not simply monotheists but monorealists. All things exist because God holds them in His Wisdom. Saint Augustine elucidates, “We can see all those things which You have made because they are, but they are because You see them” (The Confessions, Book XII, Chapter 38). Creation is a constant process of maintenance which bestows our souls with life moment by moment. “How could anything last, if You did not want it to” (Wisdom of Solomon 11:25). God is boundless, timeless, and changeless. He is not limited in any way, shape, or form. The psalmist writes clearly enough, “Great is our Lord, and of great power; His understanding is beyond measure” (147:5). Consider also the words of the prophet, “I am the First, I also am the Last” (Isaiah 48:12). Susanna cries to the judges and elders at her trial, “O eternal God, who knows hidden things, who knows all things before they come to pass” (Daniel 13:42 LXX). Eternality does not simply mean that God defies death, but rather time itself. He is extra-temporal, neither regretting the past nor fearing the future, but holding the fullness of His abundant life in a single endless instant. As Pope Benedict XVI reminds us in his Introduction to Christianity, eternal life describes the quality, rather than the quantity, of heavenly existence, existence within the dynamic love of the Trinity. Saint Augustine, thinking of Psalm 102, makes this plain, “Your years neither go nor come; but ours both go and come in order that all separate moments may come to pass. All Your years stand together as one, since they are abiding. Nor do Your years past exclude the years to come because Your years do not pass away. All these years of ours shall be with You, when all of them shall have ceased to be. Your years are but a day, and Your day is not recurrent, but always today. Your “today” yields not to tomorrow and does not follow yesterday. Your “today” is eternity” (The Confessions, Book XI, Chapter 13). The strange relationship of the eternal and the temporal is difficult to discuss even in this age of quantum physics. However, the Word of God with great eloquence illuminates the timeless and everlasting dimension of God’s being. The Truth declared through John, “I am Alpha and Omega, the Beginning and the Ending, says the Lord, Which is, Which was, and Which is to come, the Almighty” (Revelation 1:8). Saint James writes elegantly of the immutable Godhead “with whom is no variableness, neither shadow of turning” (1:17). David sings, “You are the same, and Your years shall have no end” (Psalm 102:28). Likewise the prophet speaks truly, “For I am the Lord, I change not” (Malachi 3:6). The Scripture may lack the detail and polish of Plotinus, but it still manages to convey the Deity’s fearsome and befuddling transcendence. As the Lord declares through the prophet, “For My thoughts are not your thoughts, neither are your ways My ways” (Isaiah 55:8). The Apostle to the Nations knew well that man is incapable of discerning the decisions of the Truth: “O the depth of the riches both of the wisdom and the knowledge of God! How unsearchable are His judgments, and His ways past finding out” (Romans 11:33). Before the strange and mysterious movements of the Divine, we can only cry, “Such knowledge is too wonderful for me; it is high, I cannot attain unto it” (Psalm 139:6). God is at once infinitely far and infinitely close, beyond the universe and within every molecule. This ability to be simultaneously here and there, within and without, near and far, are the trademarks of the Lord’s transcendence. We worship the Living One who is at once “above all” and “through all and in all” (Ephesians 4:6). As usual, the psalmist says it all: “O Lord, how great are Your works! And Your thoughts are very deep” (92:5). God is the Creator and Sustainer of the all things visible and invisible, King of angelic hosts and earthly creatures. “The earth is the Lord’s, and the fullness thereof, the world, and they that dwell therein, for He has founded it upon the seas, and established it upon the floods” (Psalm 24:1-2). The sovereignty of God is absolute. “I will have mercy on whom I will have mercy, and I will have compassion on whom I will have compassion” (Romans 9:15). That which He pleases He wills, and that which He wills always gives Him pleasure, for He is the All-Good Potentate of creation, and before Him all things bow. “I know that You can do everything, and that no thought can be with withheld from You” (Job 42:2). Furthermore: “All the inhabitants of the earth are reputed as nothing: and He does to His will in the army of heaven, and among the inhabitants of the earth: and none can stay His hand” (Daniel 4:35). Everything, even insignificant specks of dust, fall under his surveying gaze. “The very hairs of your head are all numbered” (Matthew 10:30). His eternal will dictates the ebb and flow of creation. He has, in His benevolent providence, recognized and provided for every contingency; nothing escapes His foresight. “The counsel of the Lord stands forever, and the thoughts of His heart to all generations” (Psalm 33:11). The Mysterious One deals not with history, with increments of time, but with all reality at once, so that the past and future are present, their fullness consumed by His fullness. “Remember this, and show yourselves men: bring it again to mind, O you transgressors: Remember the former things of old: for I am God, and there is none else; I am God, and there is none like me, declaring the end from the beginning, and from ancient times the things that are not yet done, saying, My counsel shall stand, and I will do all my pleasure” (Isaiah 46:8-10). The Wisdom of God contains in its infinite capacity the perfection of all possible forms, namely Goodness and Beauty, Truth and Compassion, Mercy and Justice. “Your mercy is magnified to the heavens, and Your truth to the clouds. Be exalted, O God, above the heavens, and Your glory above all the earth” (Psalm 57:11-12). We know God is perfect, without defect or blemish, because the very Word demands, “Be you therefore perfect, even as your Father who is in heaven is perfect” (Matthew 5:48). In addition, the Beloved Apostle writes, “God is light, and in Him is no darkness at all” (I John 1:5). 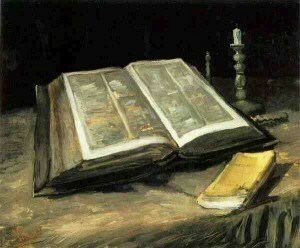 There is no question that Scripture teaches that God is a rational spirit; self-existent and self-subsistent; the very height and depth of being; infinite, eternal, and immutable; incomprehensible, transcending all boundaries, at once in all and through all and beyond all; utterly sovereign, so as to be never frustrated; perfect without deficiency, the fullness of beatitude, the fountain of grace and truth. Scripture also teaches the relationality of God—that in His infinite love He is one Deity in three Persons. But that is a topic for another time, for the Trinity exceeds the bounds of classical theism. I have tried to demonstrate these sacred and enduring truths relying mainly on the Old Testament, which generally predates the earliest Greek philosophers. Those verses taken from the Gospels and Epistles are not without Old Testament equivalents. Holy Writ is not a philosophical tome. It is primarily historical and devotional, not theological. Even the wisdom books are more concerned with praising God than reasoning through His attributes. The Spirit authored the Bible thusly for a reason. The mass of humanity is ill-equipped to deal with theological speculation and philosophical musings. Their relationship with the Deity is emotional rather than intellectual. So be it. Still, the careful reader will find in Scripture the gleaming face of the God-of-gods, who subsists beyond time and space while dwelling within our hearts. This is the “unknown God” which the pagan philosophers managed to vaguely discern through natural reason. Today, we know Him in His fullness: Father, Son, and Holy Spirit, one Deity in three Persons, without beginning and without end, all-holy and all-beneficent, omniscient, omnipotent, omnipresent. May He be glorified and praised unto ages of ages, amen! Thank you for your long and detailed article. It is a major study and deserves to be considered carefully. It shows CL tackles deep issues powerfully. How influential was pagan learning to early Christianity? I consider it was very much so. Our theology was influenced by Aristotle and Thomas Aquinas. We have brought back “consubstantial” into the Mass. This concept is only understandable in terms of Aristotle’s substance/accident (form/matter) theory. However I may be wrong, as I am out of my depth. You criticize von Harnack. I believe he considered Pagan learning tainted the Christian message. Perhaps this is slightly different from your view of him. However would you agree that scholasticism and Catholic theology are fundamentally based on the philosophy of Aristotle? You mention that Tom Wright and Oskar Skarsaune have shown the Jewish background to our faith. I would have thought that Jimmy Dunn and E.P. Sanders prior to them had clearly showed the debt of Christianity to our Jewish heritage, as did Rabbi Neusner. ” Is it the case that orthodox theology is more Hellenistic than Hebrew?”. I would answer it is more Hellenistic. The Semitic mind-set did not greatly influence St Thomas, even though he respected Maimonides. Our theology is not along the Plato, Tertullian, Augustine, Luther trajectory. It is solidly Thomistic. Also you mention John of Damascus who had a solid classical education, as well as a familiarity with Islam. You write about God being a self-existent, necessary being who is his own cause. These are ideas a classical philosopher would appreciate, but not the language of a Jewish scholar. A pagan philosopher would be more at home with the phrase you use “ontological statement” than a rabbi. The statement “GOD IS UTTERLY TRANSCENDENT AND INCOMPREHENSIBLE” would be more understandable in a Hellenistic milieu than in a Semitic one. You end with “Today, we know Him in His fullness: Father, Son, and Holy Spirit, one Deity in three Persons, without beginning and without end, all-holy and all-beneficent, omniscient, omnipotent, omnipresent.” This is not due to Jewish or Hellenistic learning, but revelation. 1. I want to suggest that the classical theistic attributes of God, though articulated in sophisticated terms by many Greco-Roman pagan philosophers, are not strictly Hellenistic. These same attributes are revealed by Scripture, albeit in devotional rather than academic terms. I endeavored to prove that classical theism is justified by the Bible, and is not simply a pagan import from Greece. 2. I want to challenge the common notion that the Greeks independently invented (or, if you prefer, discerned) this immutable, eternal, self-subsistent Deity. As such wisdom was known to the Israelites centuries before the Greeks, there is reason to question who was imitating who, especially given the peculiarity of monotheism to the Jews. We think of of many church fathers as Platonizing the Biblical faith, but what then do we make of Numenius’ charge that Plato was merely an Attic version of Moses? (See also Eusebius.) The Greco-Roman/Hellenistic peoples were fiercely proud, even to the point of bigotry, and they were jealous of their learning. This arrogance was adopted by the humanists of the Renaissance and Enlightenment, despite the obviously greater antiquity of the Scriptural testimony. This article is more speculative than academic, given that I am an amateur with no pretensions of classroom education on the matter. many thanks for your immediate response to me. I am very pleased you took the time to write such a considered and courteous reply. I think we are both in general agreement. As I wrote I am a bit our of my deptgh and may not be corredct in what I wrote, but I like discussions here, and to initiate them I may be a bit controversial. A minor point might be to determine when the Hebrew Bible was writtem. The Pentateuch does not go back to Moses. Once again, thank you for a very important article and best wishes for 2012. To deny that the Pentateuch goes back to Moses is to deny the ancient testimony of the church. The oral traditions date back to Moses himself; as for actual literary composition, I favor the most conservative estimates. The Pentateuch traditions are certainly no less than three thousand years old, and the most prominent prophets (such as Isaiah) can be satisfactorily located in the 8th century BC. I totally reject the modernist hypothesis that, for instance, Genesis was composed but a few hundred years before the advent of the Lord. many thanks for your further reply to me, which I appreciate. You wrote: “The oral traditions date back to Moses himself”. I am no expert in dating the Bible, or on anything else for that matter. So I would not have a firm opinion about when the Hebrew Bible was written. Your articles are very solid and sound, so I look forward in the new year to reading, studying and learning from them.